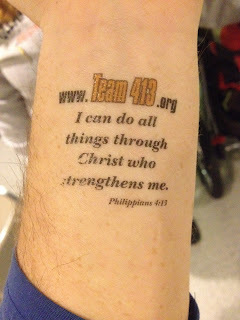 For the Sole: Run 13.1 miles....CHECK! Before leaving the house to make the 30-40 minute drive to the campus of the University of Illinois I grabbed some peanut butter & jelly toast (thanks @inkdgirl55 for the suggestion!) and began the drive. On the way to the race we had the radio on and were listening to the local stations talking about the weather to expect for the day and also some comments from the race director herself. It definitely helped build my excitement for my first "big race." 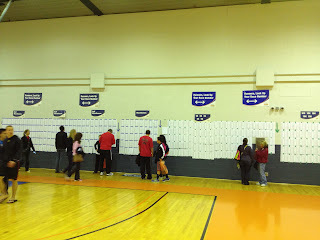 Before this my biggest race was the Race to Wrigley 5k in Chicago, IL, which was about 5,000 runners. This Marathon/Half-Marathon was about 17,000-20,000. We arrived to the campus at about 6AM and had an hour of time to kill. I felt it was the perfect time to arrive though because we made our way over to Assembly Hall (thanks U of I for opening this!) 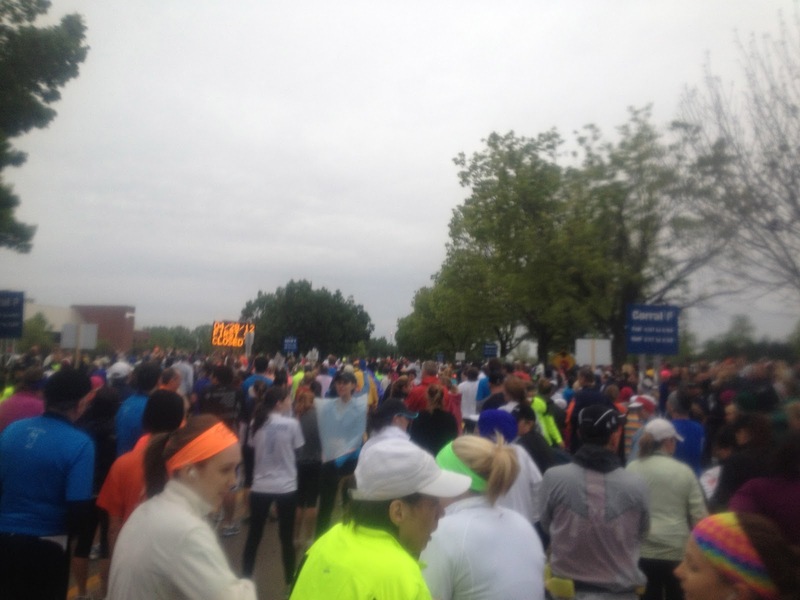 to use the restrooms and prepare ourselves to head to the starting line. Since we arrived early there was barely anyone in the entire arena and the restrooms didn't smell like a porta-john...yet anyway. As it got close to the 7AM start we decided to head over to the starting line. We actually were able to meet up with one of my mother-in-law's running pals, Janna, who was wanting to maintain about the same pace as I was for the half-marathon. We talked a little bit and as we lined up we figured we'd stick together as long as we could. We found the 10:54 pacer and thought we would hangout with that group for a few miles until we warmed up. Janna was a life saver. I have been using my iPhone and the 'iMapMyRun' app for my runs, but the only way to get my current pace is to look at my phone, which is dangerous when you're running with hundreds of people around you. My mother-in-law let me use her old Garmin Forerunner 205 since she now has a 405, but the 205 hadn't been turned on...let alone used in months. I charged it the night before, but when I turned it on at the starting line to connect to the satellites it refused to connect. It kept acting like it was going to, but then the process status would go back to 0%. I gave up and figured I'd rely on her to pace us as long as we were together. She did a great job and definitely helped me keep my pace up early on when I probably would have unknowingly slowed down. We separated somewhere between mile 7 or 8 and I was on my own after that. I relied on motivation from cowbells, signs and the awesome people who cheered for each runner as they ran by. I couldn't help but notice one lady in particular who appeared to be the cross country running type...definitely a runner though...that was on the side of the road cheering and high fiving runners as they ran by. She stuck her hand out and gave me a high five and cheered me on to keep going. It definitely gave me a boost and helped me keep going. I thought it was definitely an awesome gesture of her to do that for as many runners as she could...and then...a few miles later...she either had a clone or she knew some sort of shortcut, but she reappeared. She maintained the same amount of enthusiasm and was again high-fiving as many runners as she could. It definitely makes you appreciate the awesomeness of people's support! "If it were easy, I wouldn't be over here!" As I approached mile 11 I knew I could pick up my pace a little bit and then did the same when I hit mile 12. I wanted to make sure that I had no doubt in my mind that I gave it my all for my first half-marathon. As I rounded the last corner that led to the entryway to Memorial Stadium I dug my toes in and gave it everything. I remember feeling the soft turf under my feet as we entered the stadium and the sounds of AC/DC filled the stadium speakers. I saw the finish line was within 50 yards and I pushed it. The moment I had been training for was within seconds away and I was excited. I crossed the finish line and was handed my medal with a time of 2:18. After I finished I grabbed a bottle of water and took a minute for myself. I knew my wife was somewhere in the stadium waiting for me with our daughter, but I needed a minute to myself. 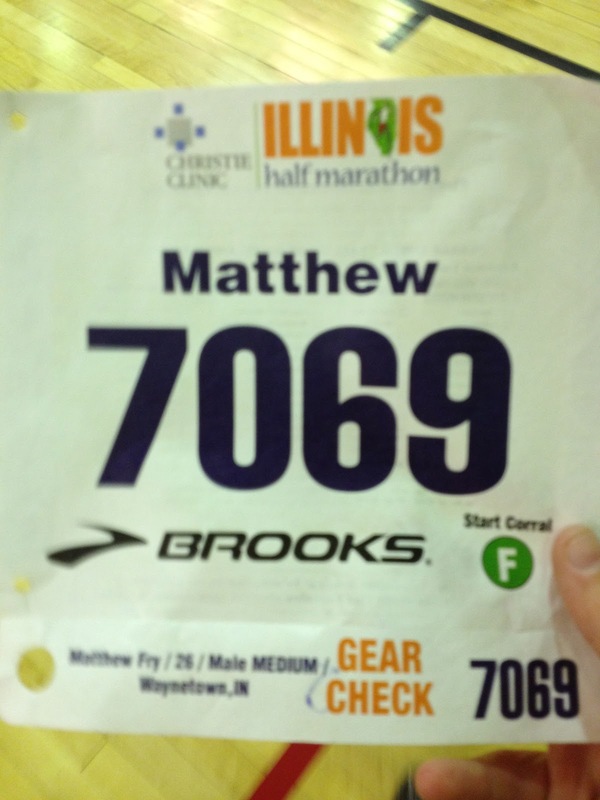 I had had the desire to do a half marathon since March of 2008, but never had the gumption to go through with it. It was one of those things in my life where I had always wanted to do it, but never followed through. The reality was beginning to set in that I actually followed through with something on my "bucket list." Something that if you would have asked me in high school or even college if I would do it, I would have laughed. I couldn't help but reflect on the two guys that kept me motivated throughout my training. Memories of my grandpa who recently passed away from cancer and the man I wrote about HERE who no longer was injured in an accident and was no longer able to run. It was definitely more emotional than I expected. It wasn't until I met up with my wife in the stands that I found out that my iPhone didn't post updates to Twitter or Facebook like I had set it up to do throughout my training. I had apparently turned off the setting while messing with some other settings on the way to the race. It is a major bummer because I had told people to follow along with me on Twitter, but their support during my training and when I posted my time after was still overwhelming. Overall, it was a great race. I enjoyed everything about it and am definitely looking at doing many more in the future. I had thought that after finishing the half-marathon that I'd desire to do a full-marathon, but I don't think that is going to be in my future any time soon. Training for a full-marathon is a part-time job and between work and my family I do not have the time to dedicate to fully training for it. 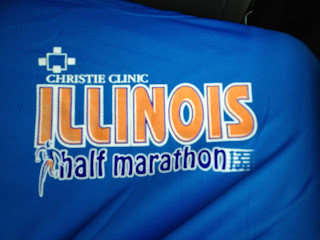 I'm thinking that for the fall I will commit to doing another half-marathon and then get myself in the position to do the Chicago Marathon next year (since it filled up in like 6 days this year). Either way...I will run on! My mother-in-law and I before the race! Waiting at the start line! 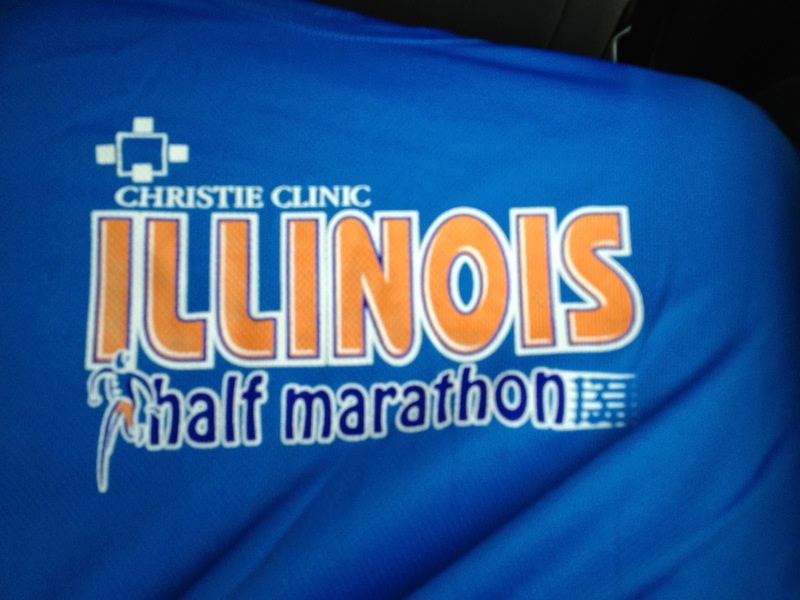 Congrats on your half! Maybe one day we will run one together! WTG!! !